Rare has unveiled a new campaign for WA Primary Health Alliance (WAPHA), ‘Depression looks different for everybody’, targeting men in the Midwest and youth in the Peel region. WAPHA is committed to providing leadership and action around the treatment of depression and anxiety, and the prevention of suicide, as part of the Australian Government funded National Suicide Prevention Trial. 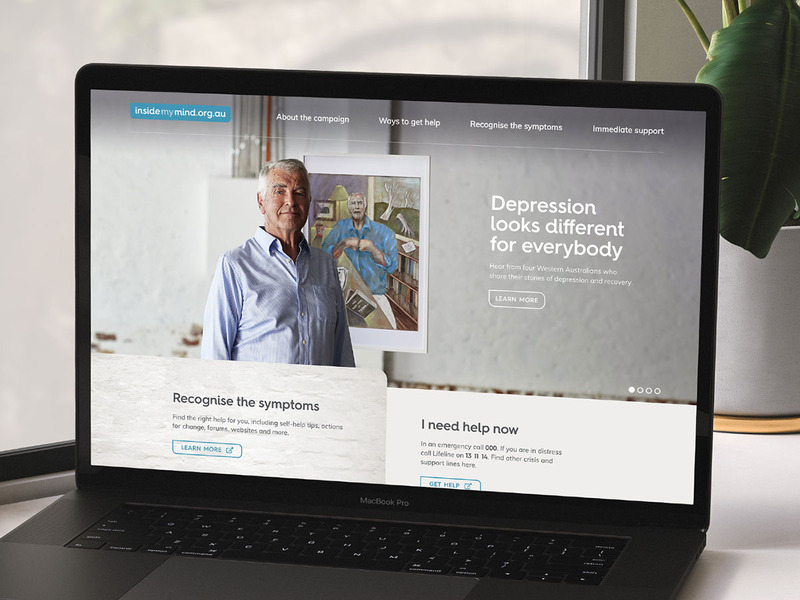 Rare was approached by WAPHA to create a campaign that would help people identify depression and its many different symptoms, so they could recognise it if it comes up in their own lives, or in someone they know, and find the help that works for them. To achieve this, Rare partnered with director Matt Pitcher and Open Spaces on a project that spanned several months. Four Western Australian artists were commissioned to produce the portraits of four people who have struggled with depression. Each artist watched a video of their subject telling their story and from this, they were able to create a visual representation of what was happening inside their mind. The result was four powerful art pieces, and an incredibly positive experience for all of the participants. The work will run across TV, cinema, social media, digital display and outdoor, with all materials pointing to a campaign website, also designed by Rare. The artworks will be exhibited throughout the Midwest and Peel regions.